After you've completed prepayment for an event, you can print a receipt. 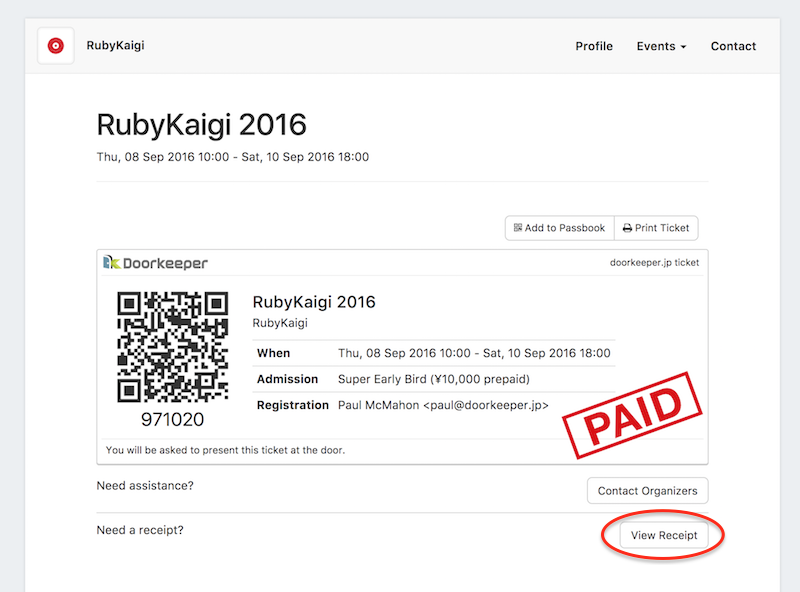 From your ticket page, click the View Receipt button. On the receipt page, you can customize it, and then print it.